Ceramill Mikro is an extremely robust and compact 4-axis milling machine for dry processing blanks and single blocks such as zirconia, hybrid ceramics or dry millable composite materials. 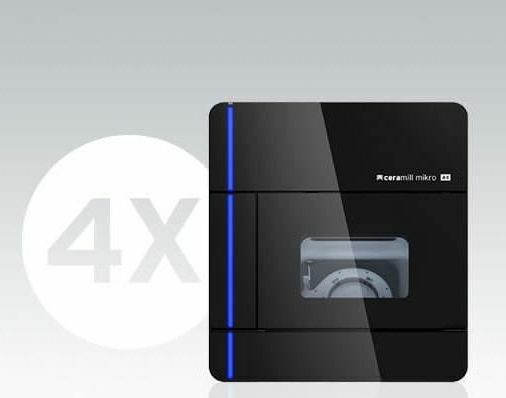 Equipped with high-performance components for permanent stability, economy and precision with low investment costs, the Mikro enables easy entry into CAD/CAM fabrication in-house in the laboratory or optimises the efficiency and productivity of the laboratory routine. With the full range of conventional laboratory indications, Ceramill Mikro 4X paves the way to profitable in-house value creation, economy and accurately fitting framework quality without preparation or reworking.